In the lead up to International Women’s Day the national debate this year is focussing on family violence. 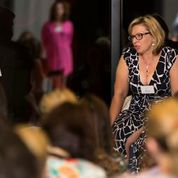 In an attempt to change people’s misconceptions about the issue Australian of the Year and face of family violence Rosie Batty addressed influential bloggers in Melbourne. Falling short of giving advice she wants them to help women by directing them to crisis services. Meanwhile CEO of Domestic Violence Victoria Fiona McCormack wants them to start addressing the issue of family violence and young women.